Jammu: Pakistan on Monday evening again violated ceasefire in Nowshera sector of Rajouri district, reported ANI. This is a developing story and more details are awaited. 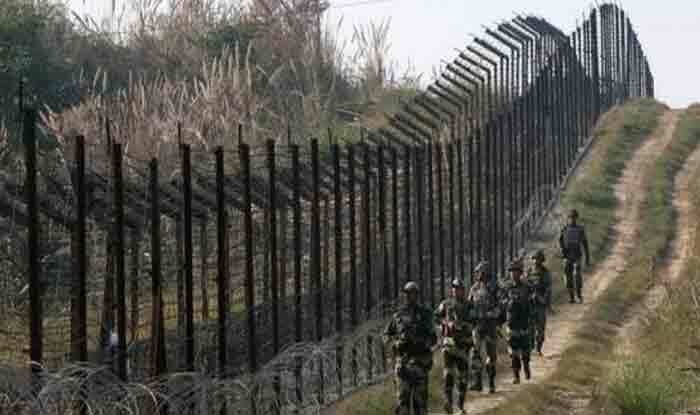 The neighbouring country has continued to violate ceasefire and that, along with cross-border firings in J-K, more than doubled in 2018 in comparison to the previous year, said reports. According to PTI, the BSF suffered the most casualties in terms of the death of its jawans in these incidents which increased by three times. Up to January 31, 219 cases of cross-border firing or ceasefire violations were reported, meaning an average of seven incidents per day. In 2018, the number of ceasefire violations was 2,140 which led to the death of 14 BSF personnel and injuries to 53 others, Minister of State for Home Hansram G Ahir said in a written reply to Lok Sabha last month. These figures were high compared to 2017 when the number of ceasefire violations or cross-border firings was 971, in which four BSF personnel were killed. The casualty figures do not include those of Army personnel as they come under the Defence Ministry. Up to January 31 this year, one BSF personnel was killed and two others injured. The minister said the Government had taken steps which included proper defence preparedness along the international border and holding regular talks with residents of border villages. He said all violations of the ceasefire were taken up with Pakistan authorities at the appropriate levels. “Diplomatically, India has repeatedly emphasised, including at the highest level, the need for Pakistan to uphold the sanctity of the LoC and abide by the ceasefire commitments along the international border and LoC,” he said.